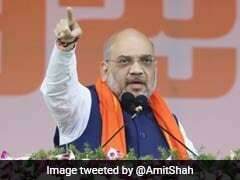 BJP chief Amit Shah targeted Congress president Rahul Gandhi on Friday for raising the issue of bank loans and non-performing assets (NPA) in poll rallies, saying those were the results of the misdeeds of the previous Congress-led government. 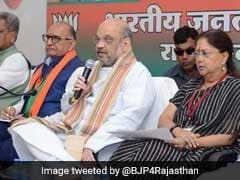 Launching a scathing attack on the BJP leadership, Rajasthan Congress chief Sachin Pilot on Sunday said that BJP President Amit Shah and Chief Minister Vasundhara Raje can't even stay in the same district, suggesting that the ruling party is a divided house months before the state goes for polls. 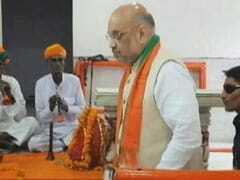 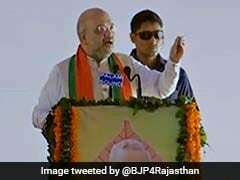 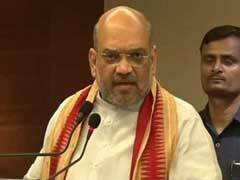 BJP president Amit Shah Monday asked party workers in poll-bound Rajasthan to think about 'Bharat Mata' and 'Lotus' when they campaign, prompting opposition party Congress to ask whether he has lost faith in the state's Vasundhara Raje government. 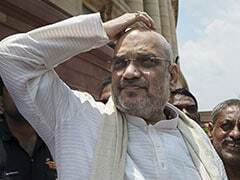 In a sharp take takedown of the Congress, BJP chief Amit Shah has dubbed it "Humpty Dumpty" after the nursery rhyme egghead. 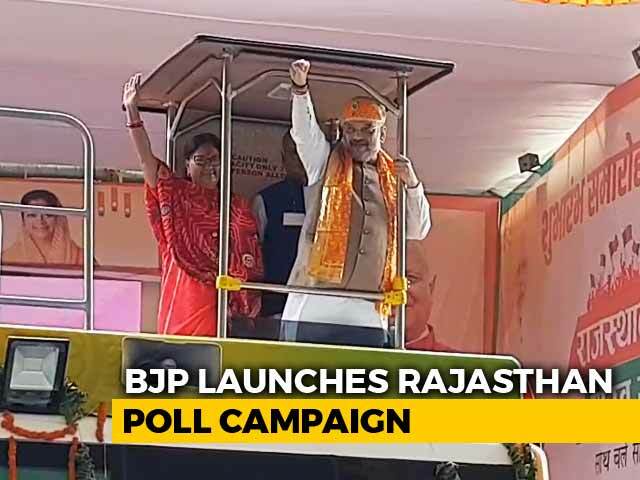 In Jaipur today on a stock-taking mission ahead of the coming assembly elections, he said the Congress has arrogance, a far cry from the leaders of the BJP. 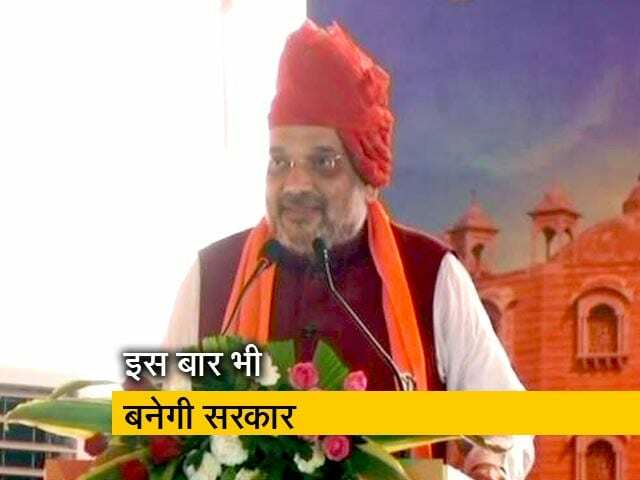 BJP president Amit Shah will attend four programmes being organised by the party during his one-day visit to Jaipur on September 11. 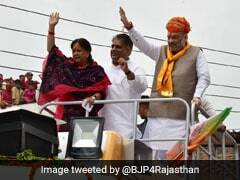 Rajasthan Chief Minister Vasundhara Raje is launching a 58-day yatra today that will roll through 165 assembly constituencies of the state which goes to the polls later this year. 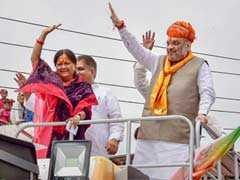 BJP president Amit Shah will be in poll-bound Rajasthan today on a day-long visit during which he will attend several organisational meetings. 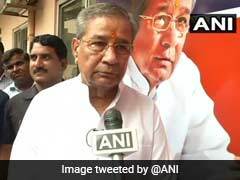 Rebel Rajasthan BJP leader Ghanshyam Tiwari today said that he has tendered his resignation from the party and will fight against the "undeclared emergency" in the state and country. 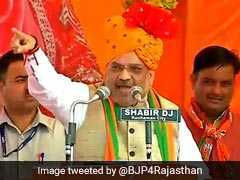 BJP president Amit Shah met top leaders of the party's Rajasthan unit and asked them to ensure that the party gets a strong mandate in next assembly and Lok Sabha elections in the state. 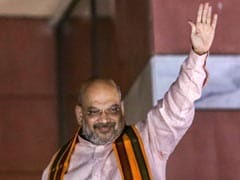 BJP national president Amit Shah will be meeting seers tomorrow to take their feedback and seek their "blessings" for the assembly elections in Rajasthan, the party said Friday.